WARNING: Todays post contains a lot and I mean a lot of Pug puns! Never in a million years did we think, that when we asked you for suggestions of posts you would like to see here in the future, there would be a trend for pug themed weddings! 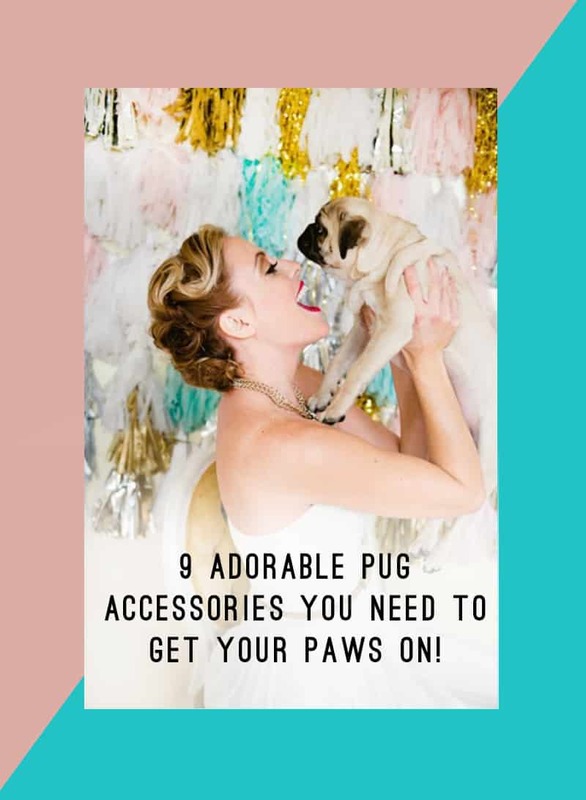 So whilst we go on the hunt for pug loving brides, we are sharing some of our favourite creative accessories, to inspire a totally PAW-SOME pug themed wedding! 1. Pug Necklace: If you are looking for the perfect pug accessory to add to your wedding day outfit, this totally ‘pugtastic’ necklace is one quirky accessory pug lovers everywhere will be wanting to get their paws on! 2. Flying Pug Fairy Lights: Pugs might fly! No we’re not ‘barking’ mad! These funky fairy lights would make a great alternative to traditional lights and would brighten up just about any space. 3. You’re Engaged Pug Card: Do you know a pair of pug parents that have just got engaged? Send them this card and they will ‘abso-pugging-lutely’ love you forever! 4. Pug Love Notebook: If you’ve just got engaged or you’re planning a wedding you will have so many ‘mother-puggin’ ideas whirring around your head, so grab yourself this notebook so that you have somewhere to write them all down. 5. Pug Nail Transfers: These cute nail transfers are ‘pugsquisite’! 6. Peekaboo Pug Tote Bag: Or should we say ‘pugaboo I see you’! Perfect for holding all your wedding day essentials. 7. Party Pug Hooray Banner: It’s a ‘pug’s life’! Surround yourself in cute with these artsy garlands! 8. Pug Ring: Oh my ‘pug-ness’, this ring! This cheeky little chappy will be right at home on any pug lovers hand. 9. Pug Brooch: We are in ‘puggin’ love! These super cute pastel brooches are the finishing touch your wedding outfit has been missing and will add a pop of colour to your getup.